This is the snake that I found in my basement. Last night I was confronted with a “Manhood” issue. I walked into the house and heard words that no man wants to hear. NOT, “You have a terminal disease.” NOT, “You owe the IRS $50,000 dollars. NOT, “My mother is coming to live with us.” NOT even, “You suffer from Erectile Dysfunction.” No sir. Those fateful words that no man wants to hear are: “There’s a snake in the house.” In my case, it was the basement. The only thing I know about snakes is that I don’t want to mess with them. I had no choice but to “Man Up.” I could not squeal, I could not faint. I had to “Man Up” and get that snake out of the house. The snake was not moving and appeared to be dead. Thank goodness. The last thing I needed was to be aggravating a live snake. I forcefully announced that I would take care of this. I confidently walked into the garage with my “George Jefferson” stroll. 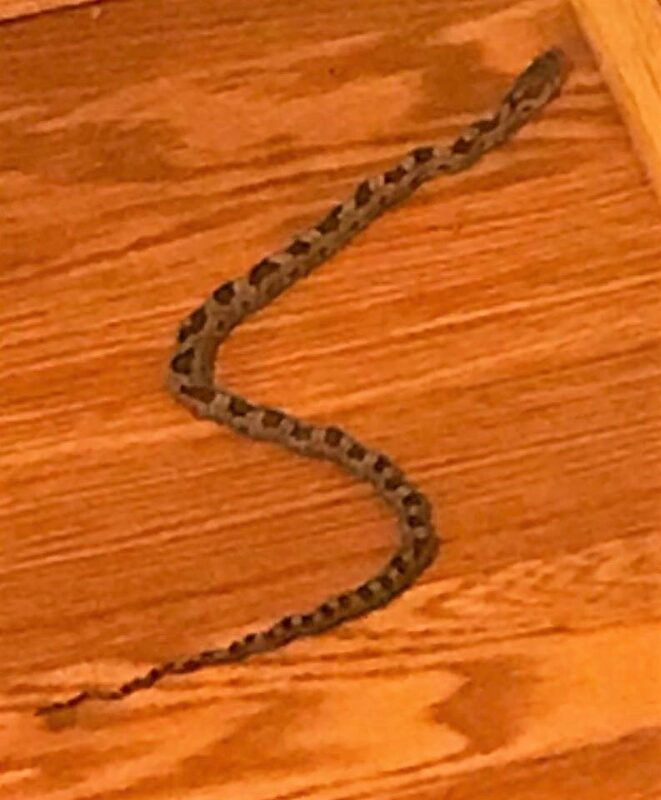 I put on work gloves, got a box, a wide snow shovel (to serve as a dust pan) and requested a broom to “sweep up” the dead snake so that I could quickly get this over with and go watch “black-ish” on TV. As I went to sweep the snake, it MOVED! My heart rate accelerated, but no audible sound of panic could be heard by others who watched from a distance. With nerves of steel, I wrestled with the snake to get it on the shovel. It was “Reptile vs. Man.” Once on the shovel I quickly decided to create a “vertigo” experience by balancing the shovel from left to right to keep the snake from falling on the floor and getting away. I finally tossed the snake into the box and sealed it. Victory was mine (so I thought). I carried the box into the garage on my way outside and noticed the box had an opening at the bottom. This snake was not done. We continued to scrap as the snake was trying to escape from the bottom of the box. Oh Lord! Help me Jesus! Not wanting to pee on myself, I started shaking the box to create a sense of turbulence to disorient the reptile until I got outside. Once outside, I released the snake by tossing the box into the street like an Olympic Javelin thrower. My “Man Card” was immediately renewed until 2023. Full Disclosure: I think I may have “tinkled” a little bit when I thought I had the snake contained and I saw him coming out of the bottom of the box. There was a little moisture in shorts. Later that evening I looked down at the floor thinking I saw another snake but it was the cord to my treadmill. I was slightly on edge. This morning research was conducted via the Internet. It appears that this was a Rat Snake which is one of the largest of the Maryland species of snakes and can grow up to 80 inches in length. However large, this snake is more of a gentle giant than you might imagine and is usually not aggressive. The Rat Snake is an excellent hunter. 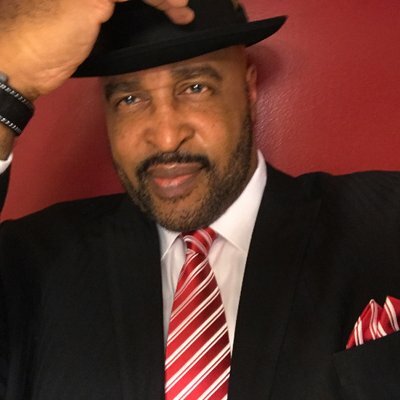 Gary Johnson is the Founder and Publisher of Black Men In America.com, an online news and magazine, Black Boating and Yachting.com and several other online sites. Gary is also the author of the book “25 Things That Really Matter In Life,”: A Quick and Comprehensive Guide To Making Your Life Better—Today! Hey Buddy!, I found this information for you: "Reptile vs. Man: A Snake In My Basement by Gary Johnson". Here is the website link: https://blackmeninamerica.com/reptile-vs-man-a-snake-in-my-basement-by-gary-a-johnson/. Thank you.